Week 2 of the summer camp definitely started off with a bang when Daniella, Kristin, and I had our Zumba class. It was so great to have most of my students go to the class and bring all their energy to the dance floor, and of course seeing the rest of the summer camp join in as well. I feel that this actually got my students to feel a lot more comfortable with me and I could see the change with their confidence when they would participate in the activities. The students that were usually quiet, I’ve seen speak up more and surprisingly this week went very well! My partner and I asked them for topic suggestions the week before, so we knew what topics to teach and what they would be interested in. They really enjoyed learning about U.K. and U.S. culture, and were really happy that we got to touch on most of the topics they requested. It’s beautiful to see that after class some of the students want to join us for lunch, and instead of Hannah and I teaching them, they want to teach us and tell us all about their lives. It’s amazing to see that although we are all from completely different places around the world, I don’t feel like we are any different. We are all university students, going after our dreams and eager to gain knowledge of the world. My students opened my eyes and introduced me to their beautiful culture and traditions. I’ve learned so much about where some of the students come from, their likes and dislikes, and even their personal life. They show me pictures of their hobbies, their art, and talk about their dreams and what they want to do in the future. 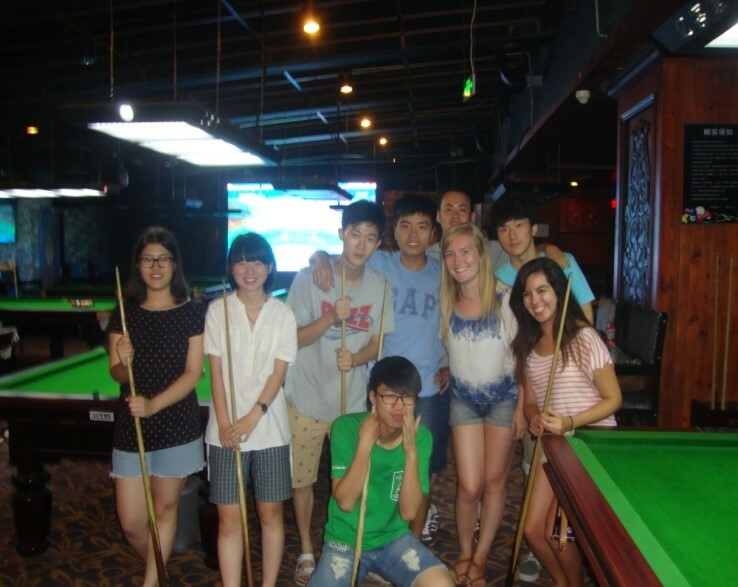 On the weekend, my partner and I had Chinese BBQ dinner with some of the students, and later met up with others to play billiards. It is always so different to spend time with them because outside of the school setting, they are a lot more outgoing than they usually are in class. At the end of the night on our bike ride back to campus, my student, Li, asked me if I was happy. I responded saying that it was amazing trying the new food and so much fun spending time with them, and I asked him the same question back. He responded saying “I’m so happy, because you and Hannah are my first foreign friends”. His words really touched me because I realized that this was the goal of the camp. The camp is a place where foreigners come together and learn about each other’s similarities and differences, and ultimately form a friendship. 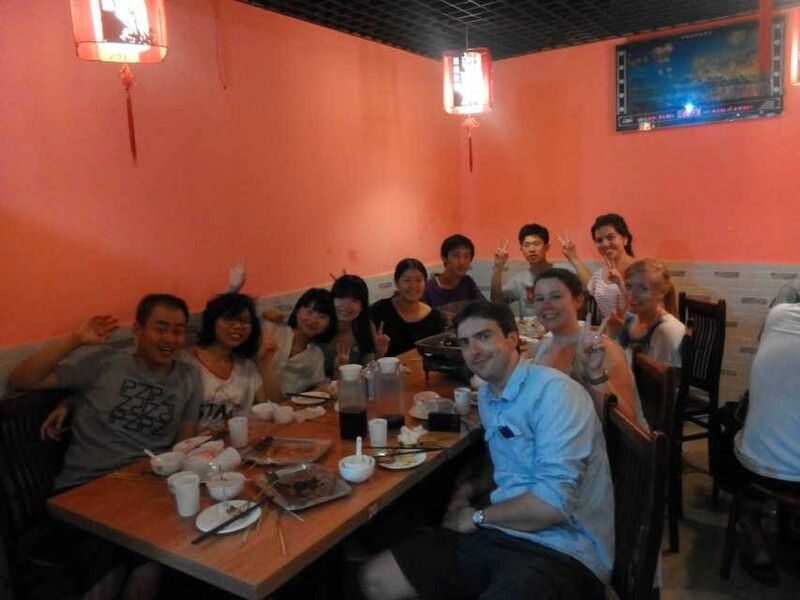 The purpose of this trip was not to visit China, it was to live it and connect with Chinese society. Overall, these students have taught me so much and I am honored to have been their teacher these last two weeks. These students have such big hearts and are the most honest and humble people I have ever met, I am going to make the most of these last couple days with them at Tsinghua University.